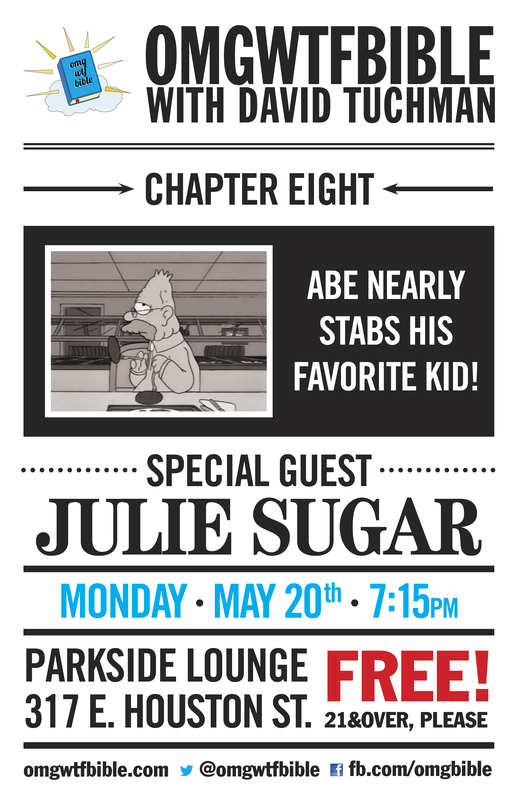 Tomorrow, Julie Sugar will be joining me at the Parkside Lounge to read Chapter 8 of this wackiness. Some highlights: Avrahamic deceit and PLENTY of child abuse! Be there if you can! 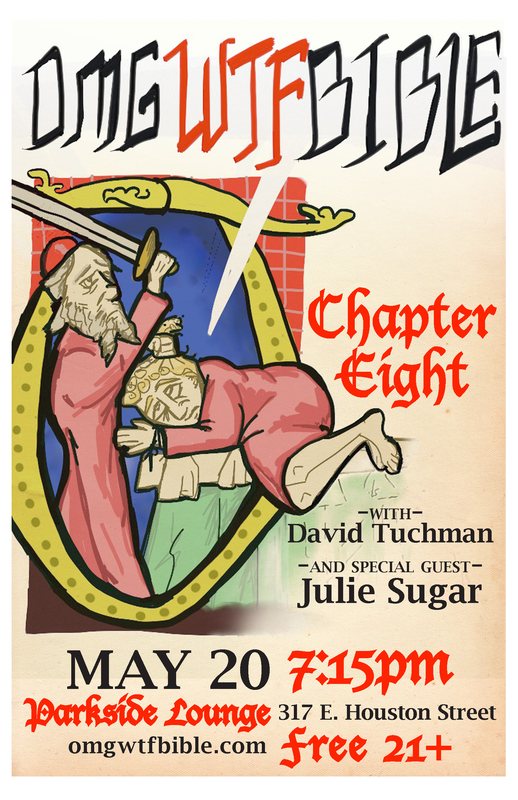 I’ll be handing out all sorts of free OMGWTFBIBLE paraphernalia to everyone who shows up. Brochures! Stickers! Show posters! This month is so special there are two posters for it! HOLY CRAP! This entry was posted in Episodes, Live Shows, News, Promotion and tagged atheism, atheist, bible, christian, christianity, comedy, jew, jewish, judaism, live show, live shows, omg, omgwtfbible, podcast, religion, torah, wtf by omgwtfbible. Bookmark the permalink.